John Hardy's Classic Chain collection features this stunning bracelet. Handcrafted in lush 18kt yellow gold, the bracelet is handwoven to form a flexible chain. The clasp is engraved with the classic chain motif so that it looks like part of the bracelet. 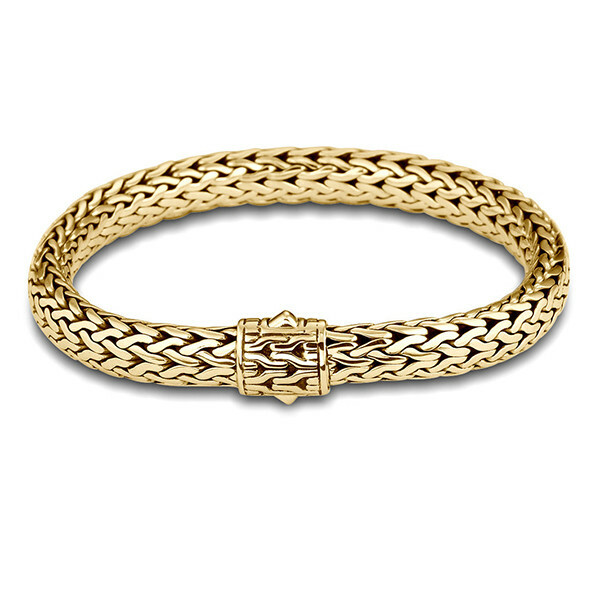 When you need an all-purpose gold bracelet, the craftsmanship and design of this John Hardy bracelet will win you over.